Under license since 1997 Bulgari, the great Italian jeweler master of colored gemstones of international fame, represents one of the most exclusive brands of eyewear: contemporary design, unique styles and glamorous details, together with superior quality. This brand is positioned for the highest segment of jewelry eyewear, with luxury Italian craftsmanship and bold style. Bulgari eyewear features precious materials such as gold, gemstones and Austrian crystals and are carefully crafted in timeless designs. Symbol of the bond with Rome and Maison’s icon, the BVLGARI-BVLGARI décor - inspired by the inscriptions on the edges of ancient Roman coins - celebrated its 40th anniversary in 2015. Introduced in 1975 as an engraving on the bezels of watches, it became synonymous with elegance and a distinctive mark of many of the brand’s jewels and accessories. To celebrate the anniversary, Bulgari has dedicated the BVLGARI-BVLGARI eyewear collection to this iconic motif, which becomes a decorative and functional element on various exquisite, sophisticated models that are perfect for today’s refined and modern woman. The iconic theme is presented in three different executions. The first execution is BVLGARI-BVLGARI Karung. The butterfly shape becomes even more distinctive thanks to snakeskin inserts (in Karung) in the side profiles in white, black, rubellite and malachite. The BVLGARI-BVLGARI logo is engraved on the outside of the temple, while, on the inside, a tag celebrates the 40th anniversary of this iconic theme. The second execution is BVLGARI-BVLGARI Alba that is launched in both sun and optical segments. Here, the coin motif is a structural element of the frame, meticulously finished by hand: the round logo with the BVLGARI-BVLGARI engraving is part of the hinge and a feature of the front. The pink gold hue of the semicircle on the front of the frame adds personality and style. The logo is hand crafted in black enamel on pink gold galvanized metal. Lastly, the BVLGARI-BVLGARI Secret story, where playful modernity meets timeless elegance. The BVLGARI-BVLGARI motif has evolved into its most sophisticated version: it is horizontally placed on the temple and the logo is revealed only on the top of the detail. Three models are launched with this execution. Oversize, gradient or mirrored lenses for the cat-eye metal frame with an acetate browline. The pilot model, with gradient or champagne-coloured mirrored lenses. And, lastly, optical eyewear in red, blue or black cobblestone. 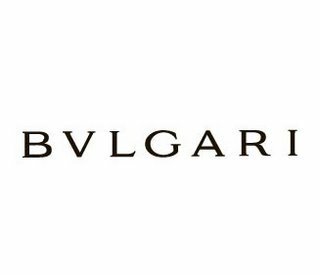 BVLGARI-BVLGARI, the Maison’s iconic motif, interpreted by Bulgari in a language that is always new and contemporary.